for $565,000 with 4 bedrooms and 3 full baths, 1 half bath. This 3,927 square foot home was built in 2005 on a lot size of 0.2700 Acre(s). 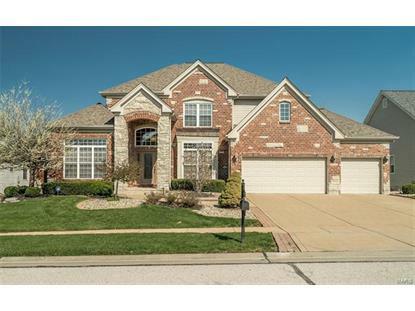 Gorgeous 1.5 story home in the wonderful gated community of Manors at Castle Ridge. You will be impressed the moment you walk in. Upgrades are found throughout. Beautiful hardwood flooring, extensive millwork, oil bronzed fixtures, ceiling fans, can lighting, ceramic title baths & laundry room. 2 gas fireplaces w/ gas logs, 10-foot ceilings. Service wet bar. The kitchen is a chief's delight, upgraded custom cabinetry, granite countertops, stainless steel appliances, gas cooktop, breakfast bar leading into the inviting hearth room with built in shelving and gas fireplace. The master suite is an owner's retreat featuring hardwood flooring, ceiling fan, crown molding and a luxury bath. The luxurious bath includes 2 walk-in closets, separate vanities, six-foot whirlpool tub, separate shower w/ seat, frameless shower door. New roof 2015, New AC 2015. Walkout lower level w/firepit and built in bench. In the sought after Rockwood school district. 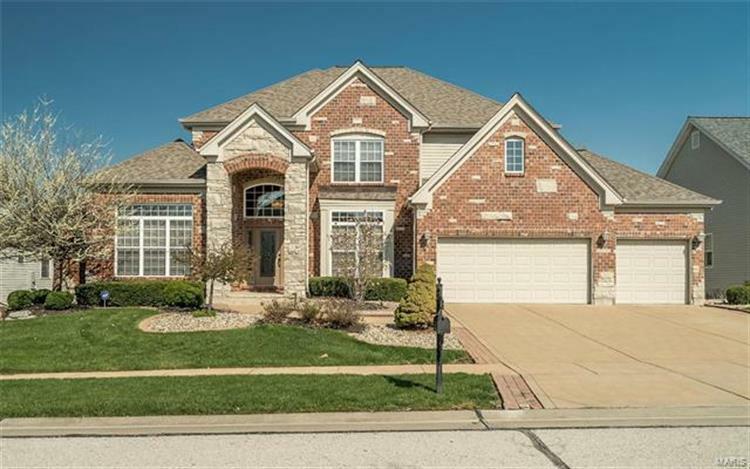 This home has everything you are looking for!